And what´s more… Every step is guided with suggestions and tips to have a great video ad and promoting it like a pro! The first and most important thing to learn is: how to create great video content to advertise. #1: Create an awesome Video Ad! Do you want your brand to be visible on YouTube but you don´t know exactly how to make this happen? Try out an amazing animated commercial. They are fun, attractive and captivating. Because it´s not about how much money you pay to YouTube, your video content should be of great quality and be different so it can stand out from millions of other videos that are online right now. Because as we’ve said, YouTube is one of the biggest search engines and everybody wants to be there. At Yum Yum Videos, we love to create unique videos that can attract, convert and close more deals. Just like we did with the Tortilla Land animation which was such a success that our client allowed us to make a testimonial video about it. In addition to the typical commercial, there´s also another type of content you can advertise: explainer videos. They work great to familiarize viewers with your brand and delivers a message in just a few seconds. For more insight, watch our own explainer video! Before diving into all the Campaign settings, first you need to learn all the basics of Adwords for videos. 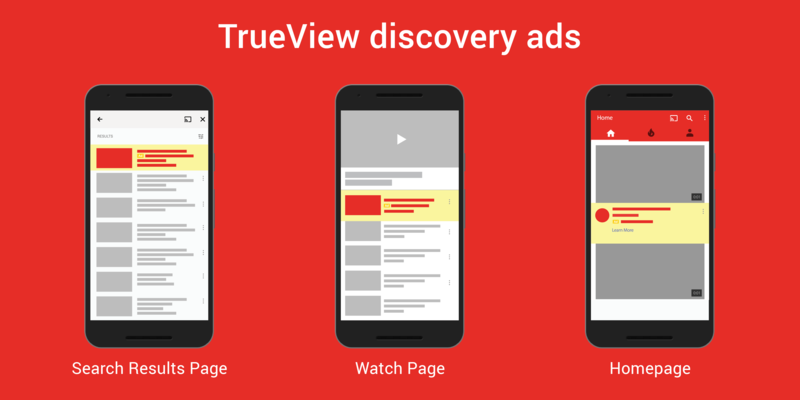 The standard YouTube ad formats are called TrueView, and the sub-types are In-stream and video discovery. The magic of TrueView is that it gives the viewer the ability to choose what they want to watch, meaning you won´t be paying for unwanted views. Be sure to have a YouTube channel –it´s free- because you´ll need to upload your video ad there. In-stream ads: These are the ads you see before, during or after watching a YouTube video and you can chose to skip them after the first 5 seconds. With Adwords for video, you will only pay if someone watches 30 seconds of your ad or the whole video if it´s shorter, and when someone interacts with it. You can also add a Calls-To-Action (CTA) overlay to encourage your viewers to visit your website or other video content. For instance, adding a headline text with a link will invite viewers to visit your homepage and close more deals. Try it out! Video discovery ads: These are the ads that show up when you search for something on YouTube or in the related videos section. They may also appear on YouTube´s homepage and on partner sites. They are shown with a thumbnail image and a title, so you should take this into account and name it with an attractive title and a good image to invite viewers to watch your video. As we explained, you will only get charged when someone clicks on your video. There´s also another format called Bumper Ads that, as In-stream videos, they play before or after a YouTube video. The main differences are that they are not skippable and they are shorter, no longer than six seconds. In this way you will pay based on impressions using CPM bidding (Cost-per-thousand impressions), this means you pay each time your video ad is shown 1000 times. Tip: There are also ways to acquire free promotions on YouTube. You can do this by offering attractive content that may show up in organic searches. A good way to do this is with Educational videos. 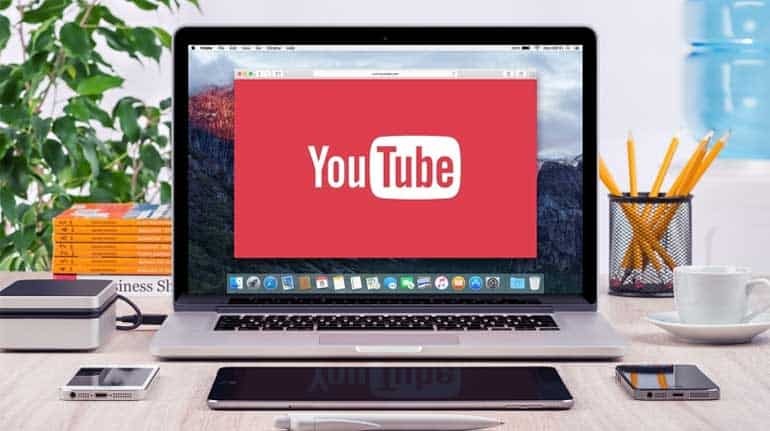 It´s a great resource to reach a higher ranking on YouTube because they are educative and may satisfy your audience’s needs while providing relevant information. And in the meantime, your brand is being positioned as a guide on these issues. For example, we did an educative video about animated video styles for business that reached over 150.000 views and now it appears first after searching for “Explainer video” on YouTube. And we gained that audience entirely for free! Check our free eBook “How to rank #1 on YouTube” for more promotion ideas like this. After uploading your ad to YouTube as we mentioned, the next step is to register in Google Adwords. It´s easy and free, just follow the link. When you login you must link your brand´s YouTube Channel to your Adwords Account. Click on the menu and search for the option “Linked YouTube Accounts”. Now we can continue with the campaign! 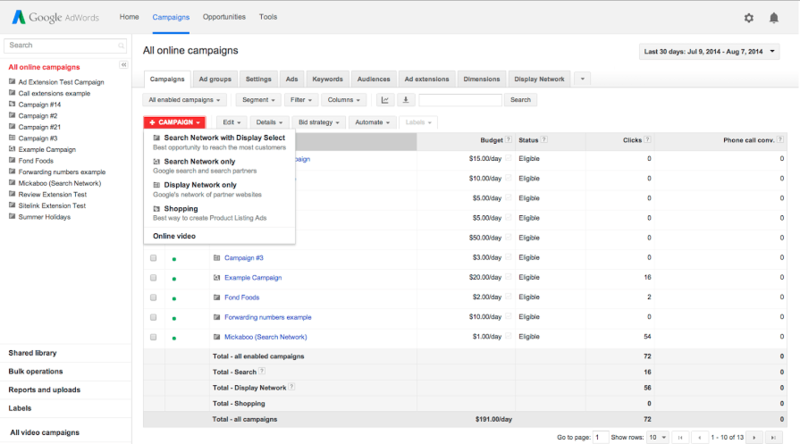 Go to your Adwords homepage and tap the drop down menu from the red “+ CAMPAIGN” button, then click on video. At this point you can enter a Campaign name and select the type of ad you want. Before doing that, think wisely about which one will better meet your business goals! As we explained before, they are designed to have different functions and impacts. Think about how much money you want to spend on YouTube ads. Here you can enter a daily amount, a good tip is to start with a small budget and upgrade it later if you´re satisfied with the results and you want to expand it. Then go ahead and select a delivery method for your ad: standard or accelerated, this means, to show it evenly over time or more quickly. #6: Where will my ad be shown? You can choose either YouTube Search or YouTube videos. The first option will show your ad in the search results when someone looks up a particular keyword. The other one will show your ad before or during videos from YouTube and other Google platforms. YouTube is a platform that is available all around the globe. Be sure you select the right locations of your potential audience and also their language, because there are more than 75 options! As we explained, your video ad must be uploaded to your YouTube channel. And here you can insert the URL and choose whether you want it to appear as an In-stream ad or a video discovery one. Your YouTube Ad will show up on all mobile devices unless you adjust it. You can increase or decrease this option if you don´t want to appear on mobile devices, although we don´t recommend it since you will miss a good opportunity. Nowadays around 70% of the videos are watched in the YouTube app for mobile, so be sure you have mobile-friendly content! In the Advanced Settings section, you can define when to begin to run your ad and when to finish it. There´s also an option to set precise times of the day to show your ad. For example, you can shut it down during the night and resume it in the morning or during the day, this always depends on your marketing strategy. The Cost-per-view rate, also known as CPV, is the maximum amount you´ll pay when someone watches the first 30 seconds of your ad or the whole duration if it´s shorter, or when someone interacts with any part of your video ad. Click here for more information on Bidding and CPV. Our recommendation is to start with a low price and increase it later for better results. You can check out your ads performance with Adwords´ analytics tools. #11: Set a target for your Campaign! Placement, like subscribers from other YouTube channels or other sites. Now that you’ve finished targeting your viewers, you´re ready to click on “Save ad and ad group”. This will finish the campaign settings and your ad will start running according to your preferences. A good idea to continue promoting your video is with cross promotion, showing your video in other social media networks besides YouTube will broaden your audience. Take a look at these tips to promote videos in social media. Now you´ve learned every step of the YouTube advertising process. Piece of cake, right? If you were skeptical, after reading this free guide, you should be certain about advertising in one of the most popular search engines. 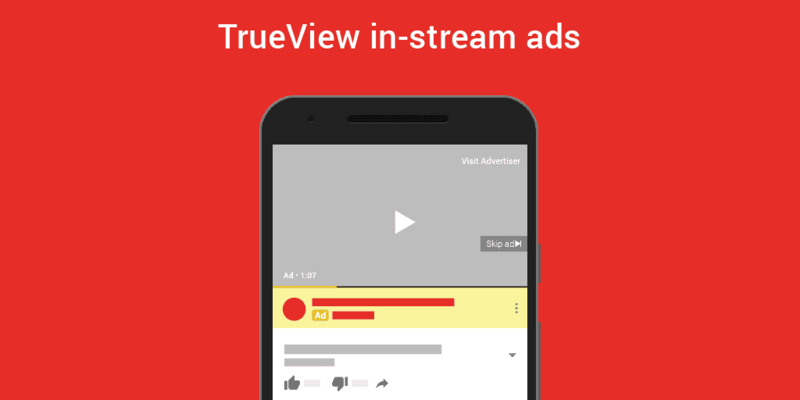 This article goes through all the information you need, like creating an Adwords account, the basics of TrueView ads, Campaign settings and customization, plus all the tips and recommendations to get the most out of your YouTube ad! But the most important lesson is that no matter how much you pay on advertising, you first need to have great content in order to succeed on any network. We´ll be glad to assist you on how to create a high quality and convincing commercial, just contact us and a Yum Yum video expert will get back to you!